The past two Thursdays have been pretty cold here and since I don’t teach Nia on Thursdays evenings I have been cooking soup. One Thursday I had it planned so I actually did go to the store after my Nia class on Wednesday to buy the ingredients I needed, but yesterday it was cold so I just decided to use what I had, which was not much. 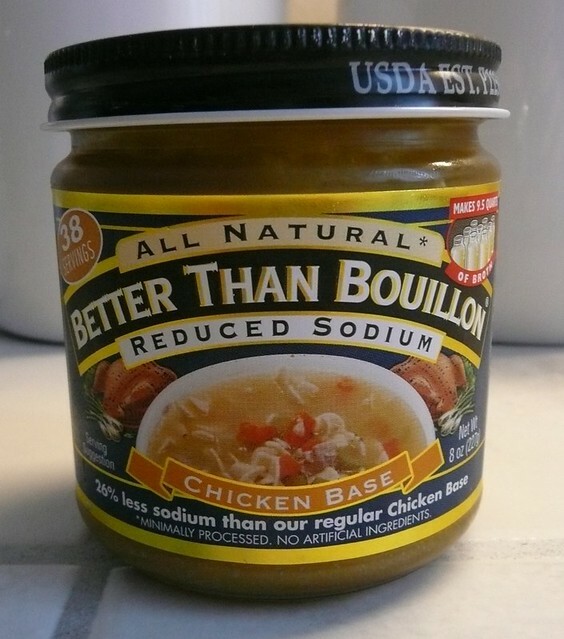 While I think that a bowl or two of soup can easily be a meal, I like to serve something else with it. When I looked in my fridge I saw the eggplant I had bought. Yay! Perfect. I saw a recipe on icancookstuff that sounded interesting. While I do not eat spicy hot food I thought I could use the garlic and the cummin. But it turns out I don’t have any cummin. So I decided to use ginger and turmeric. I have them in powdered form so I got the bottles out of the cupboard and set them on the counter. 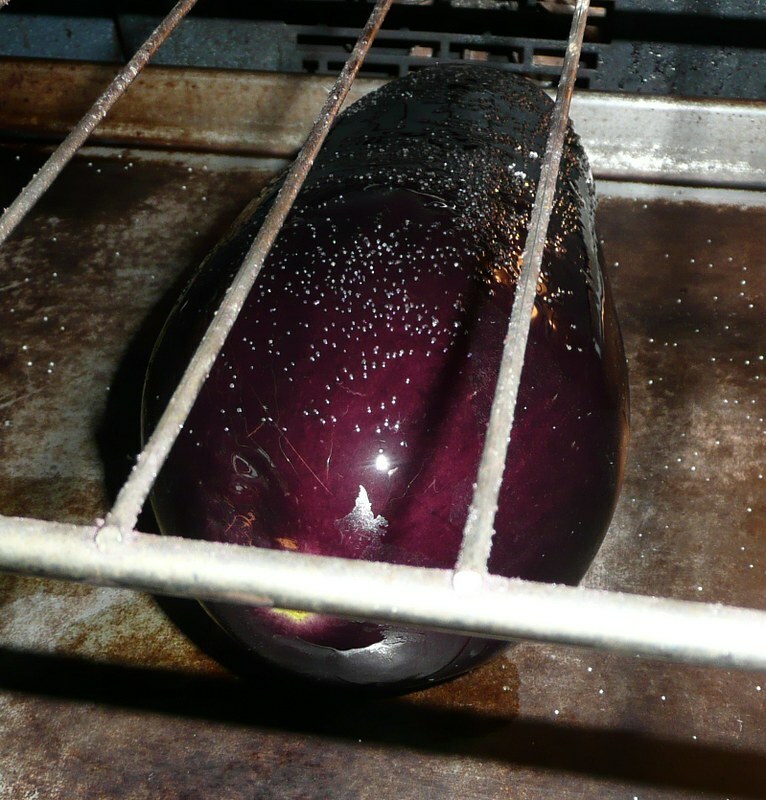 Then I put the eggplant in the oven to bake it. The recipe said to bake it at 200 degrees for 45 minutes. ** I didn’t think I had 45 minute so I put the temperature up to 300 and left it on for 30 minutes. I didn’t feel that the eggplant was cooked enough so I turned the convection oven on and set the timer for 30 more minutes. I turned it four times because it was getting flat on the pan side. In the meantime I was cooking my soup. I only had one bunch of baby bok choy, a bunch of kale, and some broccoli. I swore I wasn’t going to put broccoli in a soup again, but . . . I didn’t think the rest would make it. So while I was trying to fake making soup I wasn’t really paying attention to the eggplant. My soup finished before the eggplant. By the time I finally thought the eggplant was cooked enough to split I split it. I was thinking that I would make one half for me and one half for my husband. I salted it, I put a bit of garlic on it, I put a little bit of parmesan cheese on it. Then I looked over and I saw the onions I had chopped to put on it. And the kale. So I decided to put the onions and kale on one half and hubby and I would just get a half of each half making a whole half. I put it back in the oven and let it bake for a bit more. 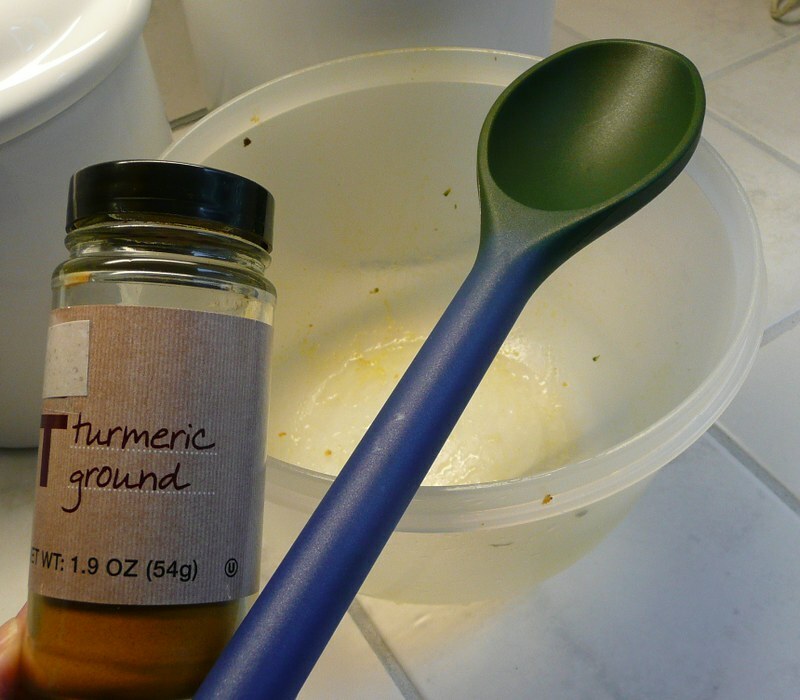 Half way through the end of baking portion I saw the ginger and turmeric on the counter. Snap! I forgot to put it on. So I sprinkled a little turmeric on both halves. I put the broiler on for about 10 minutes. From the time I thought to cook the eggplant to the time I put it in the oven to finish baking I had thought of three different ways to flavor it. I had originally thought to use garlic, turmeric, and ginger, then I thought of garlic, onions, and kale, then I thought of garlic, and cheese. That really is not a big deal the big deal is that I forgot one each time I thought of the new one. Geez! What I ended up with was ok. I think it needed a little bit more flavor. I will work on that. I don’t even think I tasted the turmeric. I like cooking eggplant this way because it is much less time-consuming than turn the slices all the time. But I think I like the roasted slices better. But I will continue to experiment with this. I might try slicing it into three pieces next time. Although a baked eggplant is not easy to slice. **It just dawned on me that the 200 degrees was probably Celsius and not Fahrenheit. So it would actually be about 400 degrees F. Ha! 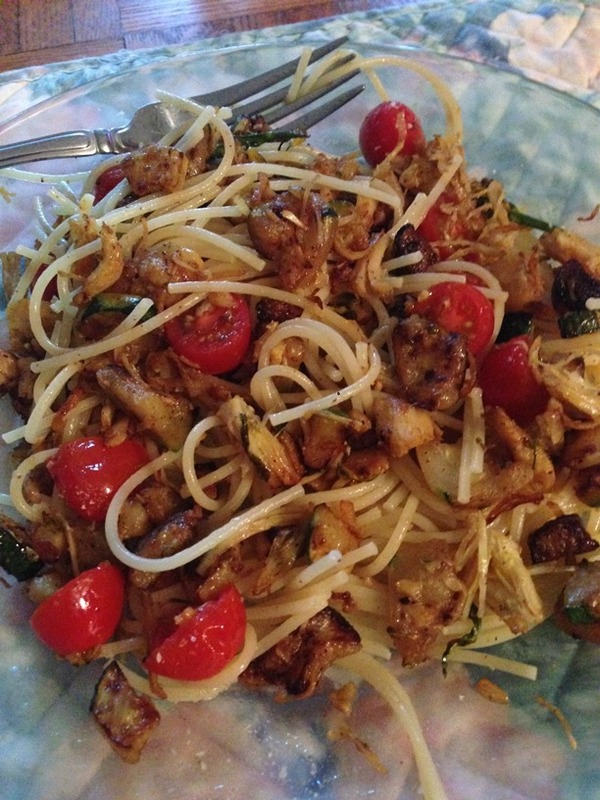 What do you think of this way of cooking eggplant? What would you put on the eggplant? I did a post on inflammation, listing a few things that might contribute to chronic inflammation. A state that stresses the delicate balance of the body. It really seems as if overly processed foods and fast foods are the culprits which is just more reasons to avoid foods of that nature. There are some foods that studies have shown that help fight inflammation, foods we can call “anti-inflammation foods” per se. Green leafy vegetables; dark green leaf lettuce, spinach, collard greens, turnip greens, mustard greens. Now please keep in mind this is just a partial list. Everyone is different and with so many different bodies, one needs to take what they read and realize that it will not work for everyone. You have to work on yourself and your own diet. See how you feel when you cut some of the “inflammatory foods” out of your diet and add some of the “anti-inflammatory” foods in. I teach Nia classes because I believe, in addition to food that helps, movement/exercise/being active helps. I want to help people. Again food that might help the immune system balance itself and not react with inflammation, something worth thinking about.